Let me tell you about my friend Jackie. She taught us how to live a totally joyful life, and she taught us how to die. 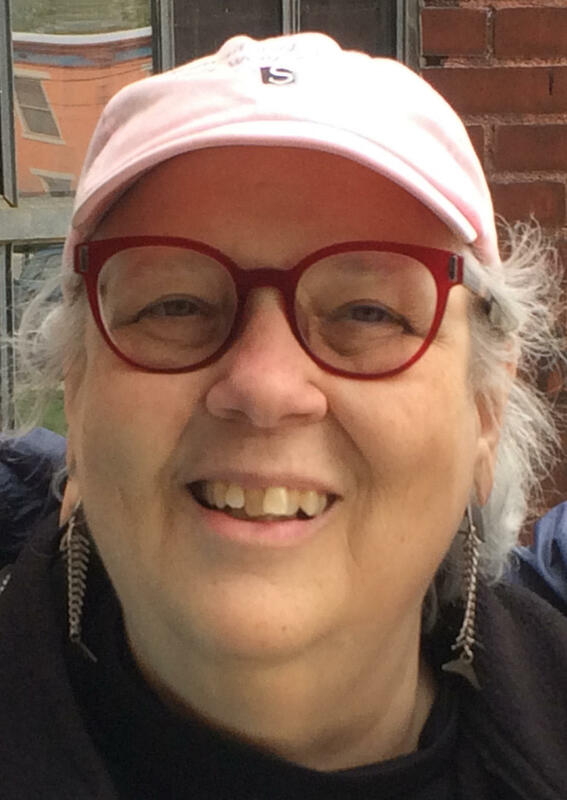 Jackie Demaline, former Cincinnati Enquirer theater critic/arts reporter, died early Sunday morning June 17 after a four-year battle with cancer. Undated Cincinnati Enquirer photo of Jackie Demaline. She was my Arts & Entertainment staff colleague from 1994 until 2013, when she was laid off and her position eliminated. She was passionate about theater and the arts, and how a major city newpaper should cover them with the same commitment and scrutiny given to politics, city government or sports teams. In the 1990s, when the Enquirer had a travel budget for arts reporters, Jackie regularly attended the Actors Theatre of Louisville festival. When the travel budget was eliminated, she continued to go to ATL at her own expense. 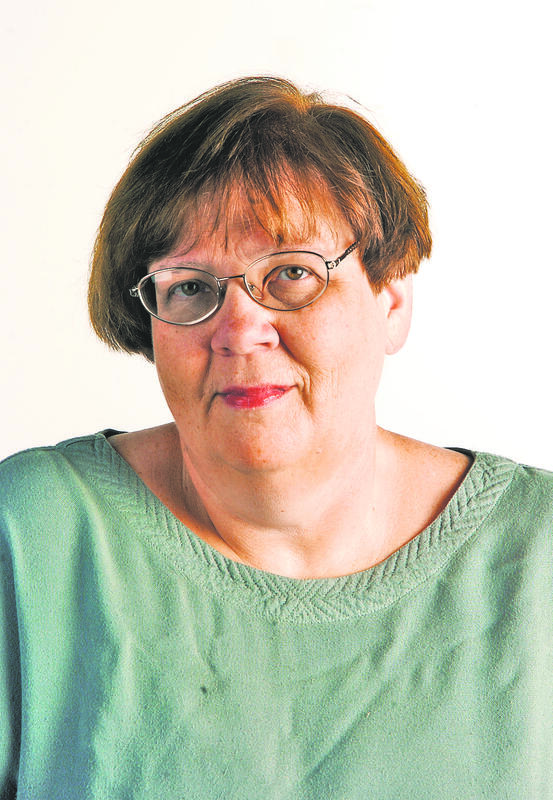 A Cleveland native, she came to the Enquirer in February 1994 from the Albany Times-Union, where she was entertainment editor for seven years. She used her editor skills to keep the A&E staff organized as we rotated writing the Sunday A&E major cover story, or produced the annual fall and winter art guides. 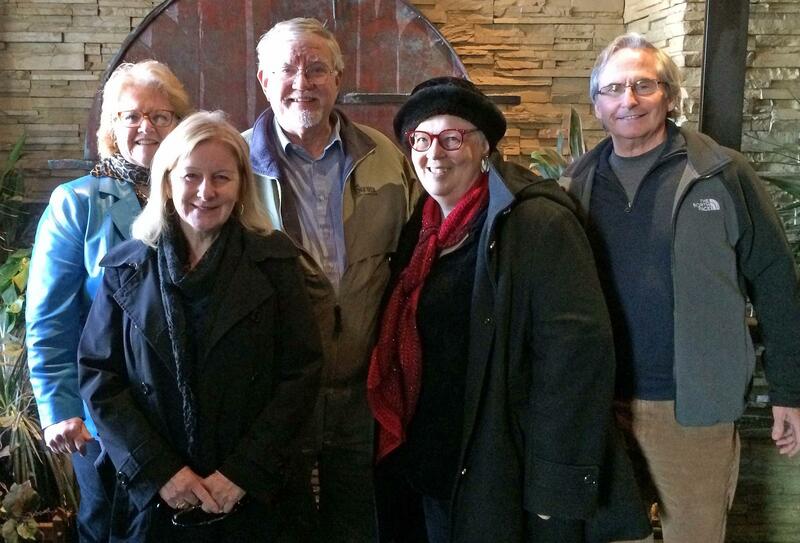 The Enquirer's former Arts & Entertainment staff in November 2017 from left: Margaret McGurk, Janelle Gelfand, John Kiesewetter, Jackie Demaline, Dave Caudill. She was resolute in living a normal life, having lunch or dinner with friends, and seeing movies or plays, despite her pain. After stopping treatment in February, she was determined to make it to her 68th birthday on May 7. In her final weeks, she greeted visitors to her beloved Covington residence, seated in her favorite living room swivel chair so she could see the Roebling Suspension Bridge and the Cincinnati skyline. And it will be no surprise to those who knew her that Jackie doesn't want a stuffy memorial service -- instead she requests friends throw an "after party" in her honor. As I write this, I can hear her raucous laugh. She loved good theater, and felt that it was her duty and honor to offer constructive criticism to improve a production or script – and to warn consumers that their experience may be less than perfect. She also was a huge booster of theater, and all of the arts, demanding that editors let her cover and promote the fledgling Fringe Festival at its outset, helping make it what it is today. 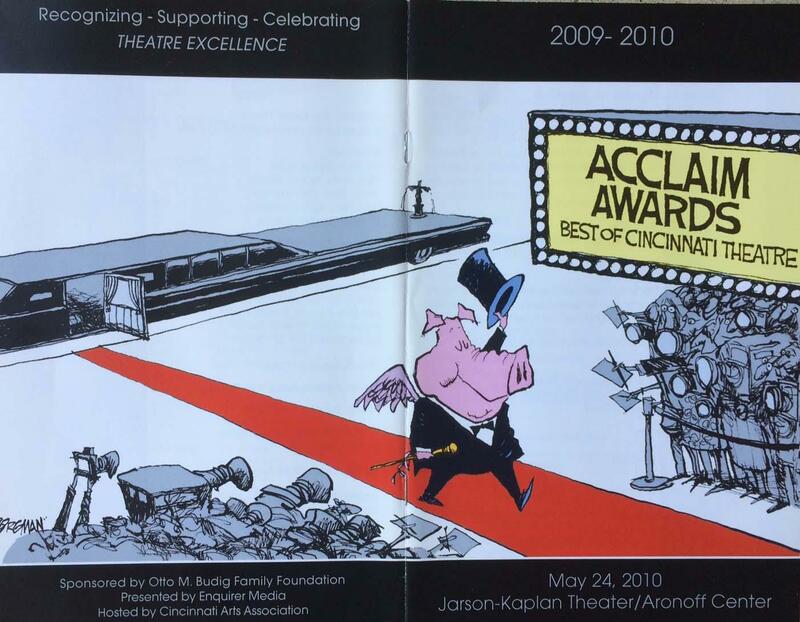 2010 Acclaim Awards program cover. She was also a driving force behind the Enquirer's "Acclaim Awards (for)Best of Cincinnati Theatre." Her name wasn't on the program, but Jackie's fingerprints were all over every inch of the categories, committee, ceremony and the slogan on the program ("Recognizing – Supporting – Celebrating THEATER EXCELLENCE"). Sometime after being named the state's top arts reporter by the Ohio Society of Professional Journalists in 1998, Jackie explained the guiding principles of her arts coverage in her Enquirer online bio. Her column philosophy: "I believe arts change lives and that arts matter to every community. So every Sunday my aim is to tell readers what's most significant in the arts in our community. Arts are about politics and education and suburbs and downtown development and everyday people, not just what's on more formal stages." Her reviewing philosophy: "I want to put you in the seat next to me. I want you to be surprised and provoked, to think and feel. I want you to respond to my writing and I strive to be consistent so that, like me or hate me, you can use me as a guideline." After leaving the Enquirer, Jackie wrote for Covington's River City News website and Cincinnati magazine. She was preceded in death by her brother. 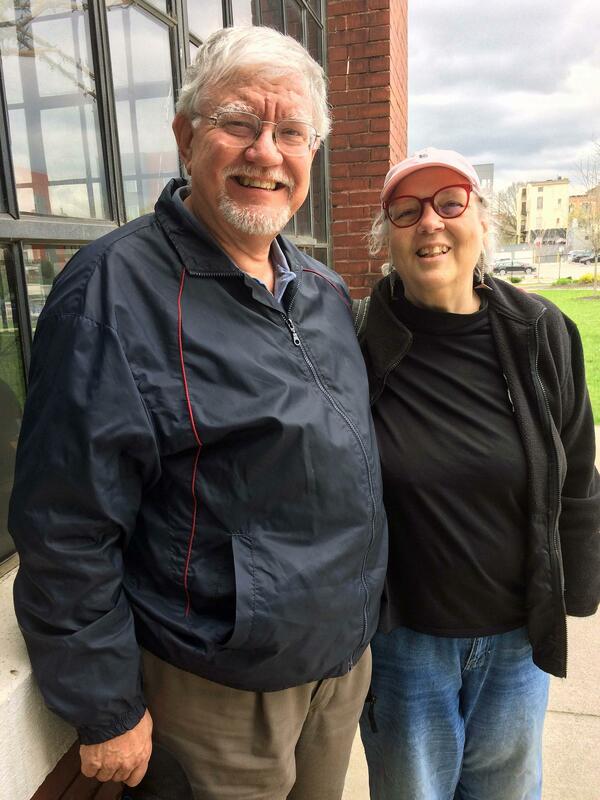 Jackie and me at Ruth's Parkside Cafe April 25, 2018. "Love & Kieses" to Jackie. And then she'd laugh. That loud, raucous laugh. I can hear it now. I hope I always will.